Ren, some folks are ignorant. It’s good to get it off your chest. I know. It’s not in my character to ignore this kind of situation. But I controlled myself and was being polite … it wasn’t my blog, after all. I just cannot tolerate that kind of behavior, especially if I’m right. And what I couldn’t tolerate was they mocked my family and the Philippines. They want to be right even when they are wrong, and when the correct information comes from someone who does not look like them, they have to try to make themselves sound superior by mocking. Then another commented ” be careful…. that’s scary/// or something like that. Maybe he deleted the pic that I posted there. Ahahahahaha ! He is a serious blogger, a traveller who goes to places ” less travelled”, and that’s why I find his posts so interesting. So that one about that reptlle – like thing that he saw in the ” jungle ” confused me. I was expecting a twist at the end of his post, like the full photo of ” that thing “. And his readers we’d be like, Ha ha , its a banana plant ! I’m sure we’ve all eaten a banana at some point in our lives ( lol ) but I’m sure as well that not all know where it comes from and what the source looks like. Thinking back, I feel it’s a dishonest narrative. He doubled down with his replies. I wonder … what if the post had been about a delicious monster? Oh, my. Guess what, I’ve seen a banana fruit that is 2 feet long and as thick as a can of soda. It tastes like banana…… can you imagine what the whole bunch looks like in the tree, and what that hanging purple thing looks like… I haven’t seen that . O_O Oh wait, the color of this banana is purple. Yeah, even though I occasionally fall into the trap myself, I pretty much hate sarcasm. I think it should be mandatory that all people travel outside of their home country, because it would definitely change a lot of things when people’s horizons are broadened. That’s right. Ironically, this blogger travels. He’s from Europe and travelling in South America . The other blogger is American. Take note…. I have not lost my sense of humor. I now find the interchange of responses humorous. LOL ! ! ! People will say anything for an interesting story. I am glad you called them out on it. Mwe hehehe he he ! I’m now just finding the this hilarious. I hope so, as well. But I highly doubt that he even reads other blogs. There are bloggers like that, you know. But if he gets to read this, afsh!2&kbn ! ! ! Right. I thought it was a joke. Maybe he thought no one would know. Ha ha… I think he’s the type who doesn’t want to be challenged. I’ve read some of his responses to comments on his posts, they are downright rude. Well that’s the closest I have come to eye rolling in a long time. Perhaps this travel blogger needs to spice up his adventures but something so obvious is pushing it a bit and fair enough for mentioning it, it’s the defence of the original assertion that makes it all the more stupid. 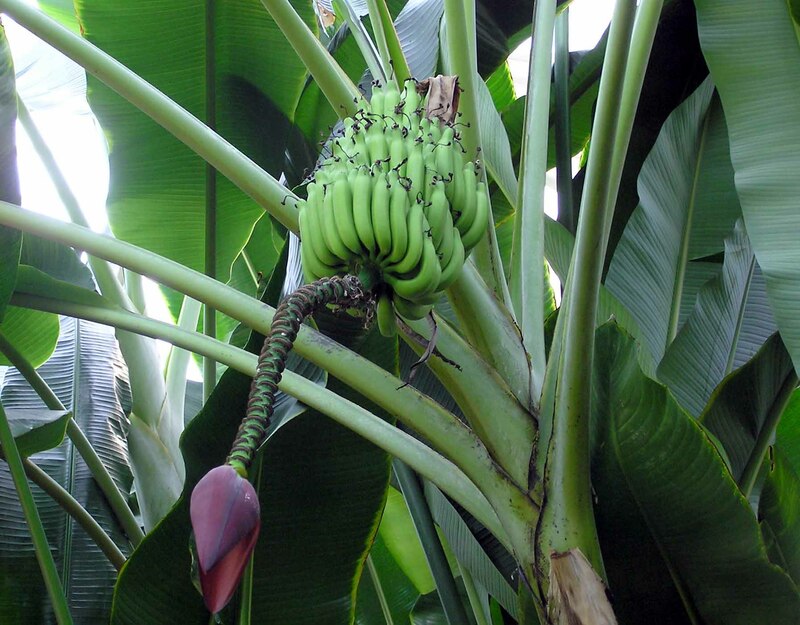 Google Banana plant and see the similarities, it’s not like we can’t all do it to see as you pointed out with your last photo. ” it’s the defence of the original assertion that makes it all the more stupid “………you nailed it , Ste J. Should I have just zipped my mouth, and not said anything ? I couldn’t help it, Ste J ! ! Oh no! You must always mention it and bring people to task on such things, if nothing else it makes for a great blog post, hehe. I wrote about it because at that time, I was really annoyed and wanted to vent. It turned out humorous and interesting, ha ha. Hi,karenicanix ! Welcome back ! Didn’t you actually say farewell to the blogging world ? I’m glad you have decided to come back. I have always enjoyed reading your posts. Cheers ! Nagpahinga lang. 🙂 Glad to be back! Good for you, Ren! You tell them! Shoot, they are just too sensitive! We all have our own reality I guess. That’s true. I inadvertently and unintentionally burst the bubble. It’s hard to educate people who think they know everything. Just tell ’em to behave or you’ll send the entire banana tree after them. I think your response was gracious enough. Some people are ignorant but won’t admit it. I don’t think it’s ignorance. The blogger is very intelligent ( he’s a lawyer ) and his blog is serious and no- nonsense… and that’s the reason why I was totally baffled . Like maybe this was just a joke, and at the end, we’d be reading, just kidding ,folks, it’s a banana plant. I seriously couldn’t tell from his post if he was joking or not. I mean, it was a totally serious post, and some of the comments were serious, too, like, be careful next time… the jungle is such a scary place. And I’ve been reading him for years….. he never joked…. he never even wrote anything funny. Right. That’s why I thought it was just a joke… but no, the poster was serious, as you can see from his response. This is so dumb it’s hilarious! Not you but the idiots that annoyed you. I could understand your ire – I find myself like this dozens of times every week!